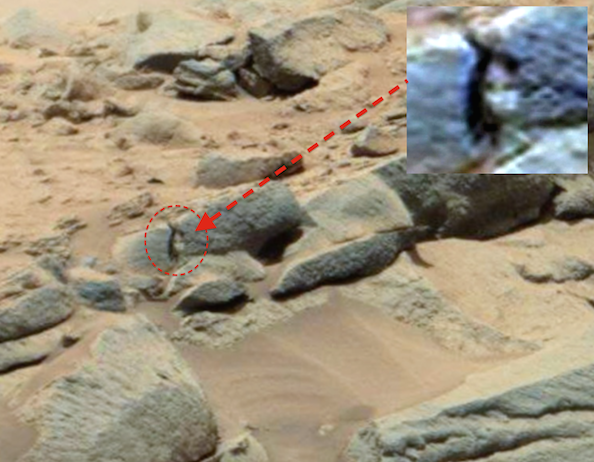 UFO SIGHTINGS DAILY: Ancient Aliens On Mars, Carved Humanoid And Bear Found, Nov 2014, UFO Sighting News. 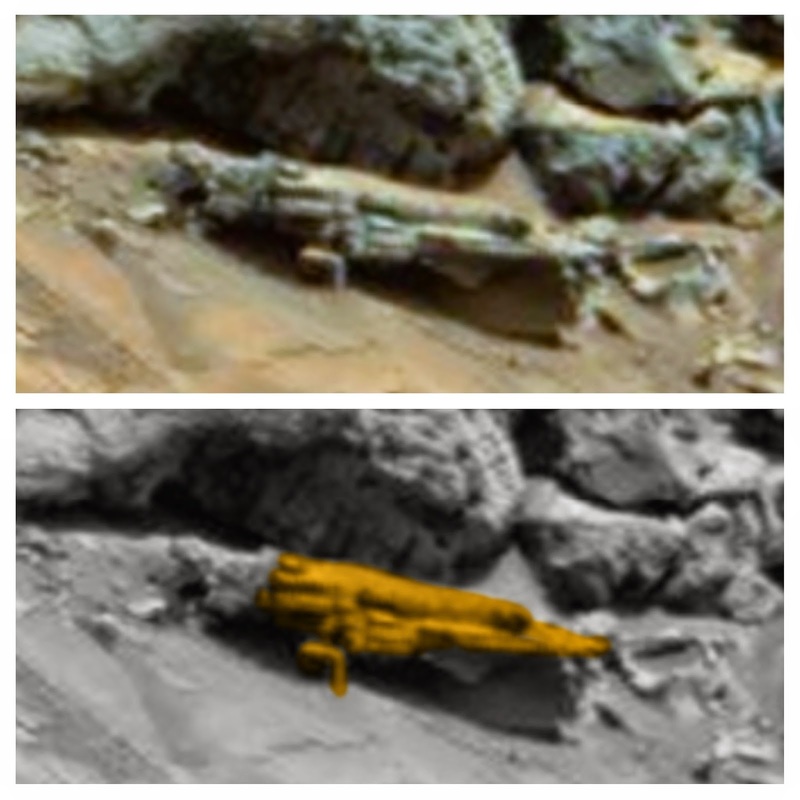 Ancient Aliens On Mars, Carved Humanoid And Bear Found, Nov 2014, UFO Sighting News. 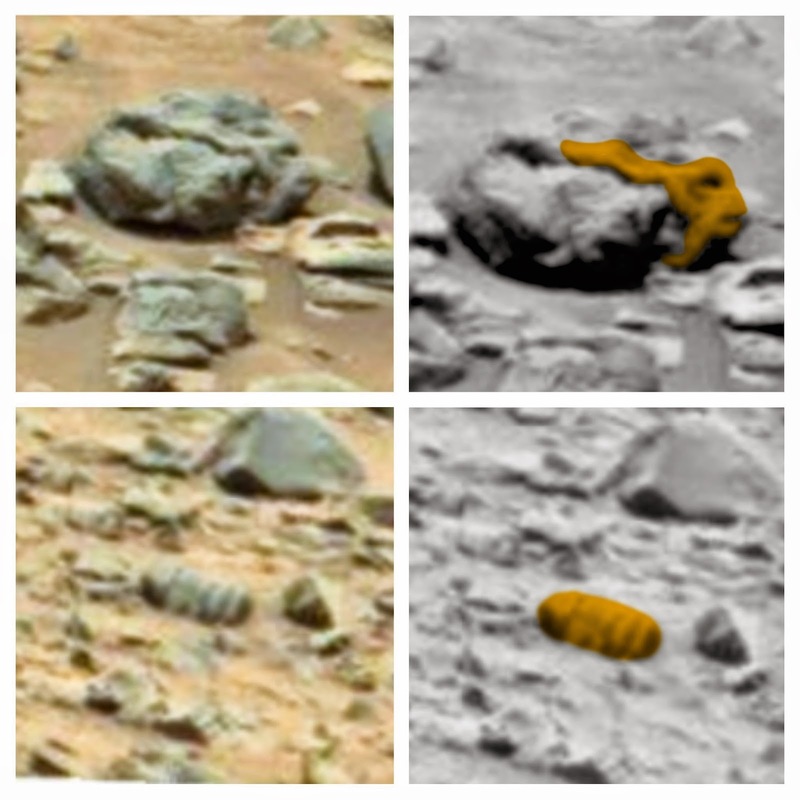 Its hard to believe, but faces are the main signs of life people are currently finding on Mars. This face is a bit eerie in the fact that its white...which is a totally different color than the surroundings. This white face looks to be made of the same material I showed you last week of a white wall made below some stones. 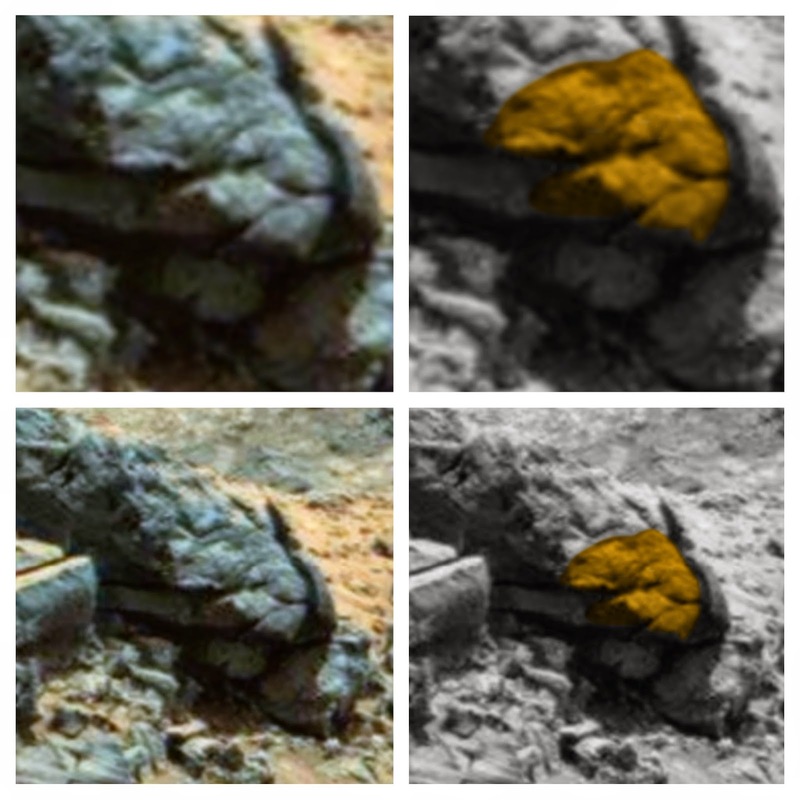 However the person who found it seems to believe that this is could be a living creature on Mars. It was found by UFOvni2012 of Youtube. An angry bear-like face. Alien face or a face from their stories? Above photo contains ship near the bear head. Above contains an unusual face and a object that looks like a giant larva.